Delhi CM & Aam Admi Party Chief Arvind Kejriwal runs a pilot project on Bike Ambulance in Delhi for medical emergencies. It aims to provide an immediate pre-hospital response in congested areas. 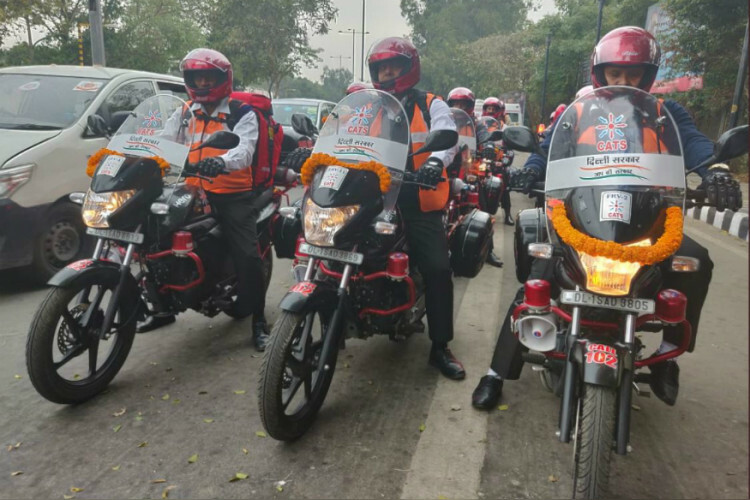 Currently, only 16 bike ambulances have been flagged off, they plan to increase the number soon. The CM says a 4-wheeler ambulance find it difficult to pass through a narrow lane, whereas a bike can easily pass and reach the needy.